~ by stufffromthelab on July 11, 2008. ME and my school went to the baseball game on July 10th . We ate hot dogs and hambuger with cheese. They had a deal and it was all you could eat. I ate 2 hotdogs and 1 Hamburger and I had a water and juice. The staten island yankees won the game. They were versing the Oneonta tigers. They gave us autograph on our hats and baseballs . We had to sit in the sun. The weather was very hot. We had fans with water sprays to keep cool . The Staten island Yankees stadium is very big and nice. This stadium is on the North Shore of Staten island. We are doing projects all about the North Shore of Staten Island. The score was five to three. The staten island Yankees stadium is very big and nice. On July 10 we went on trip to the North Shore of Staten Island to Richmond county ballpark. The game was Staten I sland Yankees and the Tigers . The Tigers lost against the Yankees Yankees had 5 runs. THE TIGERS had 3 runs. THE The Yankees WON the game. And my class had mad fun . We traveled there by bus and we was hot on the bus and in the sun!!!! We played volley ball in the stands with a beach ball. We had bottles to keep cool. I ate 3 burgers and I drank soda and water. I had good time . It was funny when the mascot scooter took the kids chair and started running away. Great game. On July 10 my chass mans and I want to a base ball game call stastu lascfrh yarckker someing and the 1 part we sura the yarkker tunner for there game and yarkker sauce 2 pont and the tighie sauce the 2 part the tighie 2 pont and the 3 part the yarkker sauce 0 and the 4 part the toghie sauce 5 pont and the 6 part we have to go bake to the school the end. And the statatn ilasaes yarcker sauce 5 point and they win and the tighie sauce 3 point we have a fun game. And the satan ilsan yarkker sauce 5 pont ontonind tighie sauce 3 point and yarkker win the game and the tighie lost theame and we went in the school. and is was a good game the end. I went to the Richmond county ball park on7/10 to see the SI Yankees. At the game it was all you can eat and I ate hot dogs and hamburgers. I drank Pepsi. It was real hot. Very sunny. At the game they gave us caps. The players autographed them before the game and my cap was signed by a player. I had a good time. I would like to go to see them again. stadium We got tickets and we walked around the stadium to our seats. section 12 shere we were sitting. The game was on commerical, it had not started yet. So we went to get our tickets punctured so that we could go get food. Then we got yankee hats and autographs from number 60 on the SI Yankees team. My friend got a baseball with an autograph on it. In the first inning the game was 1-0 It was very hot outside. I had pepsi soda and the Yankees hit a homerun Over the wall in the game. We played pass the beachball int the stands with a big ball. spray fan to keep cool I got wet and it felt good. At the game we said the Pledge of allegience, The yankees won 5 to 3. I had a great time and I would love to go back. On July 10 our school took a great trip to a great spot on the North Shore of Staten Island. The Staten Island Yankee stadium. The Yankees were versing the Oneonta tigers . In the first inning the Yankees hit a home run. Out of the park. It was very hot. Both pitchers pitched a good game. The final score was 5 – 3 with the Yankees winning. I drank water because it was very hot. I had hot dogs and they were very good. I really liked the game. I would like to go there again. We went on July 17th. It was very fun and i got a lots of autographs and it was cool to see them play the game but we did not see the whole game. On july,17,2008 yankees baseball game was really fun I got an autograph from one of the baseball players they was very nice and we got soda and waters and food and we saw scooter,red and huck it was very fun I would love to go again I hope we will go again. IT WAS VERY FUN AND I GOT A LOT OF AUTOGRAHP.I CODING SAT LOG AND THE FOOT WAS GOOD .WE GOT FRE HAT. WE TOOK PICTURES. I WANT TO KNOW WHO WON SINCE WE LEFT EARLY. I LIKED WHEN THE PLAYER HIT A HOME RUN AND RUN THE BASES. THE PITCHER CAUGHT THE BALL AND GOT HIM OUT. IT WAS EXCITING TO GET TWO AUTOGRAPHS. 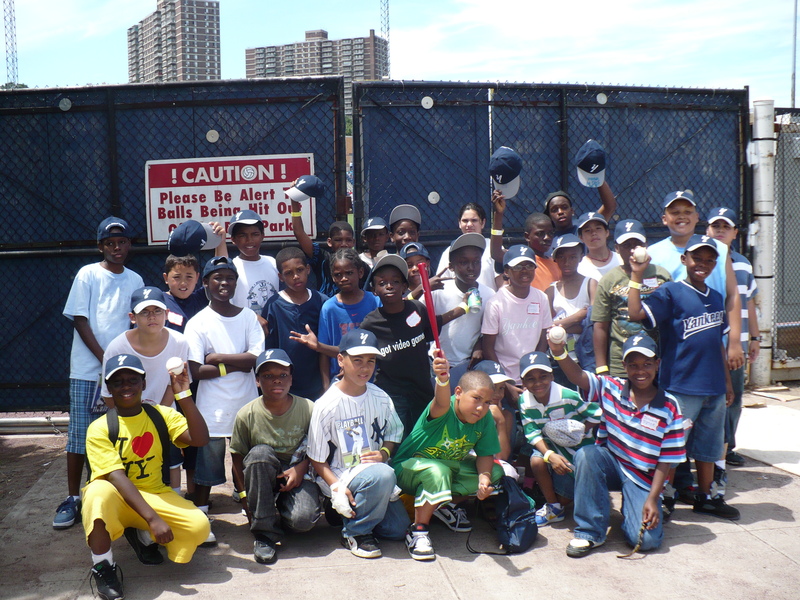 On 7/21/08 I was a sub-para for class V45 and the kids talked about what a great time they had on the day they went to see a SI Yankees game. IT WAS VERY FUN AT THE GAME ABOUT THE YANKEES VS MUCKDOGS. THE MUCKDOGS WON 5 POINTS AND THE YANKEES LOST 2 POINTS. THE GAME WAS FUN. I ATE A LOT OF FOOD AND THE STATEN ISLAND YANKEE PLAYERS SIGNED MY HAT. IT WAS A VERY INTERESTING GAME, THE YANKEES WON THE GAME. Whenever the yankees make a good hit the crowd screams. But when the other team make a hit or good move the crowd yells boo!!! It was all you can eat Barbeque. The baseball players signed the kids hats. My teacher got a signed baseball. We wen to the Staten Island Yankees game. It was hot. I had so much fun. They played musical chairs on the baseball field. We met some yankees. I had a rainbow ice. It was yummy. Miss Cunningham caught a ball and had it signed. I was happy. We ate hotdogs and hamburgers. This was the best trip ever. Our Trip to the Staten Island Yankees! Hello my name is Shenel. Today I am going to tell you about our trip to the Yankees game. I was very happy to go When it got time for us to go to the game I was excited. All of the grownups and children got on the bus. It took a little while to get there.Then we got our tickets. They gave us Yankee hats. We found our seats and sat down.Then it was time to get food. The food was free, all you can eat. The game was great. The Yankees won. A great trip. On July 10th we took a trip to the Staten Island Yankees. We were given Staten Island yankee Hats. They also gave us free food with little bottles of water or cans of soda. The Food lines got long after a while. It was all you can eat. The Yanks played a good game and were winning by the time we left. I had a great time and I would like to go again. We got free hats and the players signed them at the game.Different schools and camps were there to see the game. We got to meet the Yankess Mascot Scooter. They had an all you can eat barbecue. Food and drink. It was very hot but we had a good time.